What are anti-fatigue mats ? Why use anti-fatigue mats ? What should be considered first when a person stands all day at work ? 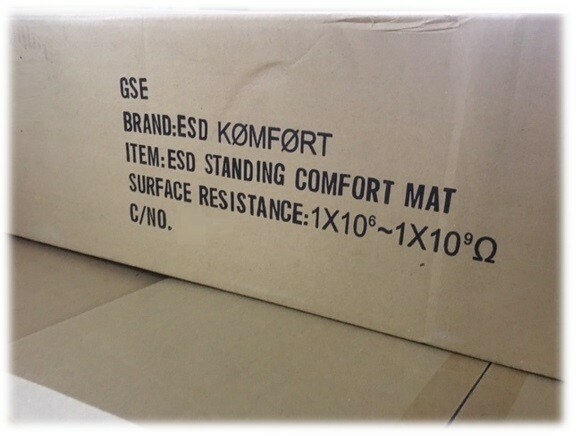 When should anti-fatigue mats be used ? 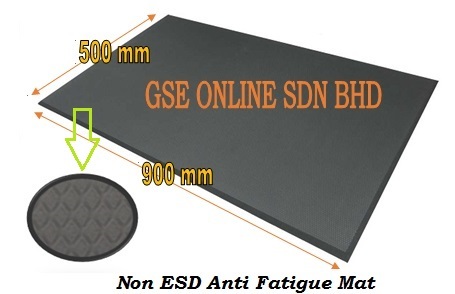 Anti fatigue Mat is suitable for assembly lines and other workplaces required ESD / Non ESD characteristics to reduce individual workers' fatigue from long-standing jobs. 1) Germ proof formula with water , oil and chemical resistant . 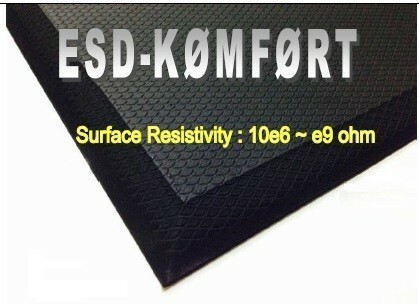 2) Rubberized Foam with specified gravity of about 0.2 g/cm³ and Hardness : 15 - 20 Shore C , Soft type . 3) ​ Single layer closed Cell Structure Foam & Odour-less . 4) ​High shock absorption strength, anti-slip and soft-material characteristics, by adding rubber properties to reinforce pulling and tearing strength . 5) Available in Black color only . 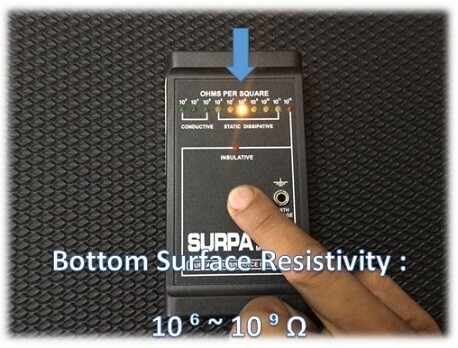 ​​6) Resistivity readings at 10e6 ~ e9 ohm . 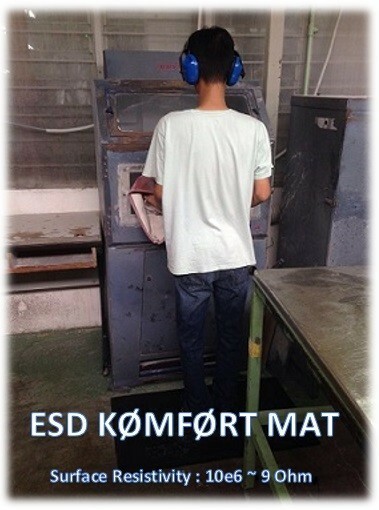 What are ESD anti-fatigue Standing Comfort mats ? 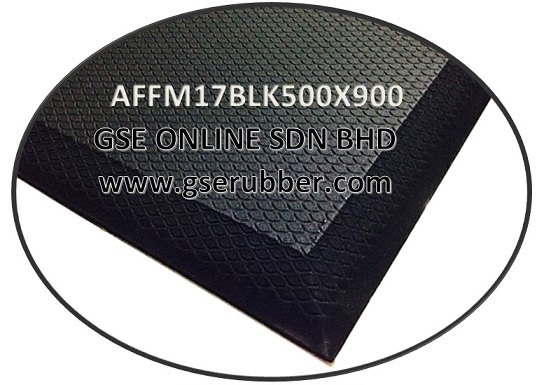 Anti Fatigue Standing Comfort Mats, also known as Anti Fatigue Floor Mats, are made of ( ~17mm ) thick closed-cell ESD Rubberised foam material designed to provide comfort and reduce worker fatigue . 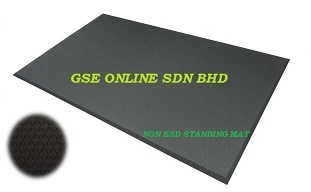 ​This mat is the most economical anti fatigue mat available & EFFECTIVE . 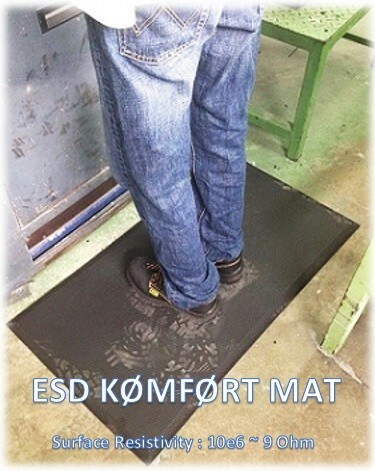 The mats are designed to reduce fatigue that is caused by standing for long periods on hard surface ( l.e , cement floors ) . Fatigue-reducing mats can be made of various materials including rubber, carpeting materials, vinyl, and wood , particularly with soft surface & Minimal Anti - Slip pattern . The sponge base encourages subtly movement of leg and calf muscles which in turn promote blood flow back to the heart. 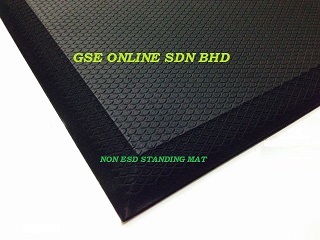 The soft surface of the mat provides a simple manipulation of areas of the feet. This in turn relieves tension and breaks up patterns or stress in other parts of the body to an amazing extent. 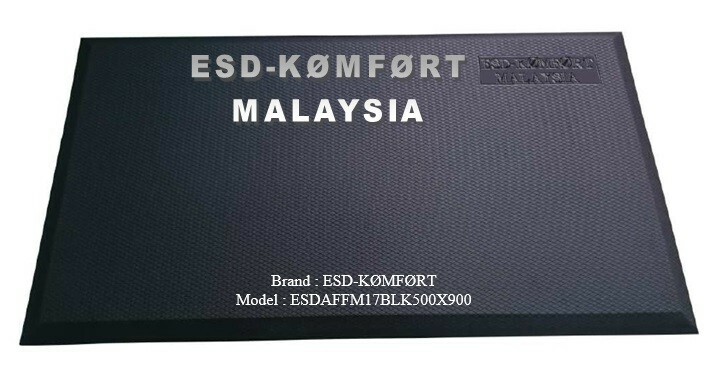 Why use ESD anti-fatigue ( ESD Standing Comfort ) mats ? 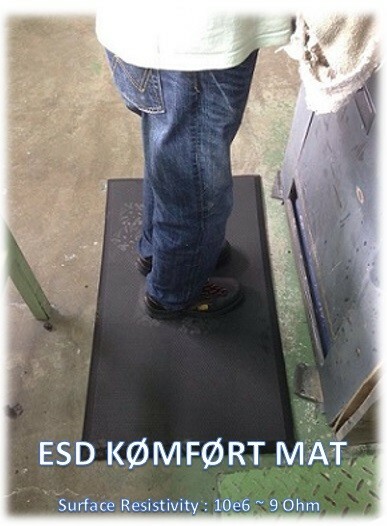 Anti-fatigue mats are often used to decrease foot weariness for workers who stand in one position for long periods. However, providing ONLY a mat may not solve the entire problem. ​Discomfort, tiredness, and sore feet after long hours of standing are the combined effect of several factors, namely the design of the work, the workers' footwear, and the flooring material. ​According to scientific data, standing for long periods of time is particularly stressful and fatiguing. Regardless of the quality of shoes and quality of the floor covering, standing itself can cause tiredness after an entire working day. 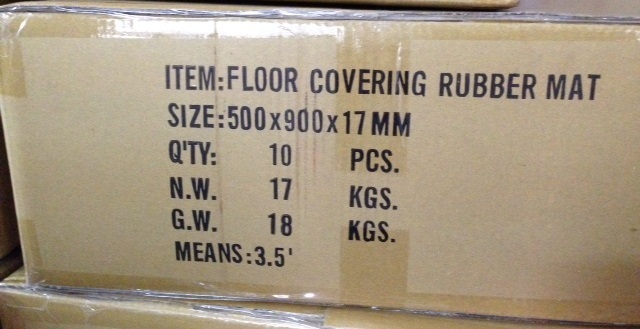 There are two options to alleviate foot discomfort where resilient floors are not practical. 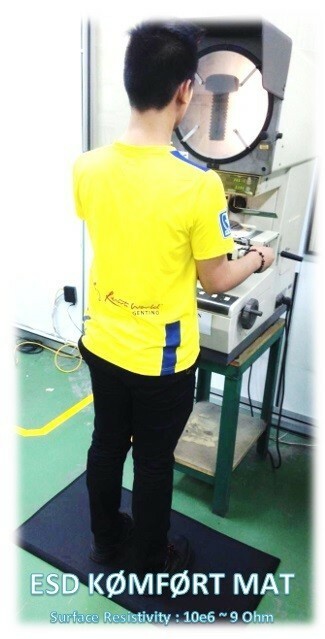 ​​1) One is footwear with thick insulating soles and shock-absorbing insoles. 2) Anti-fatigue matting is the other option. 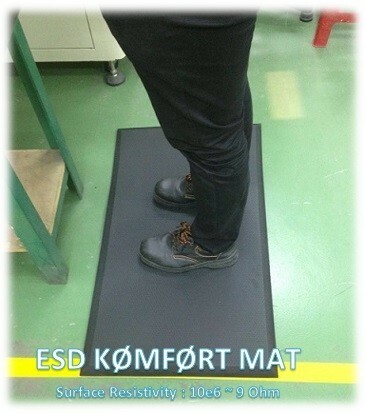 Anti-fatigue Standing Comfort mats absorb the shock due to walking and this cushioning effect reduces foot fatigue. 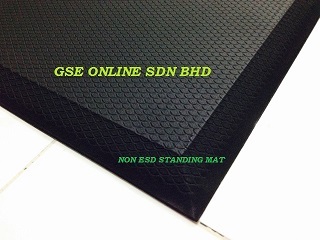 However, the use of matting requires caution because mats can lead to tripping and falling accidents when installed improperly. Another type of floor covering, namely, anti-slip matting, is useful in increasing foot comfort and safety. However, workers may find that their feet burn and feel sore of the " gripping " anti-slip top surface , the top " gripping " anti slip surface should be minimal , because the non-slip properties of anti-slip matting cause their shoes to grab suddenly on the flooring, making their feet slide forward inside the shoes. Friction inside the shoes produces heat which creates soreness. 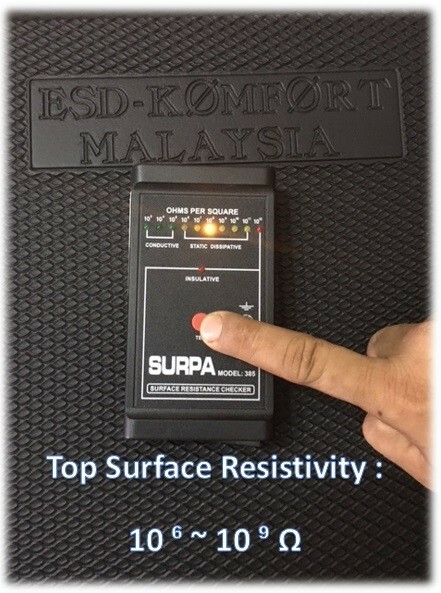 Non-slip resilient insoles can reduce this discomfort. 1) Reducing Slip and Fall injuries. 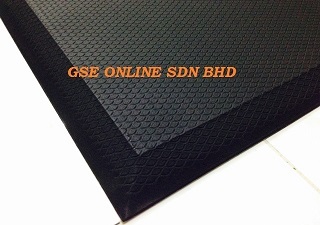 2) Reducing glass and material breakage when anything falls on mats. 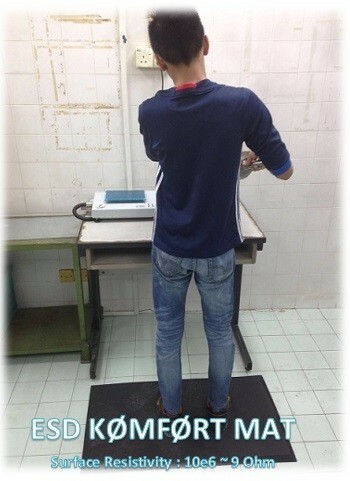 3) Reducing back pain and stress when standing for long periods of time. 4) Increasing productivity by giving comfort. 5) Preventing injury and fatigue. 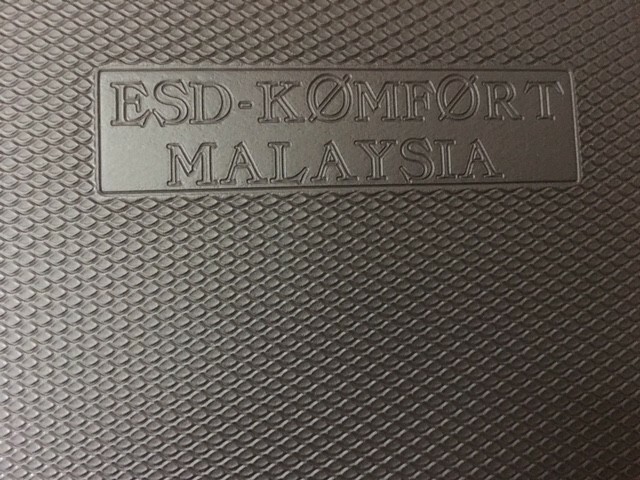 In specific applications, anti-fatigue standing comfort matting is a great option where small vibrations or sound absorption is needed. It is also used in numerous applications under heavy duty manufacturing equipment.